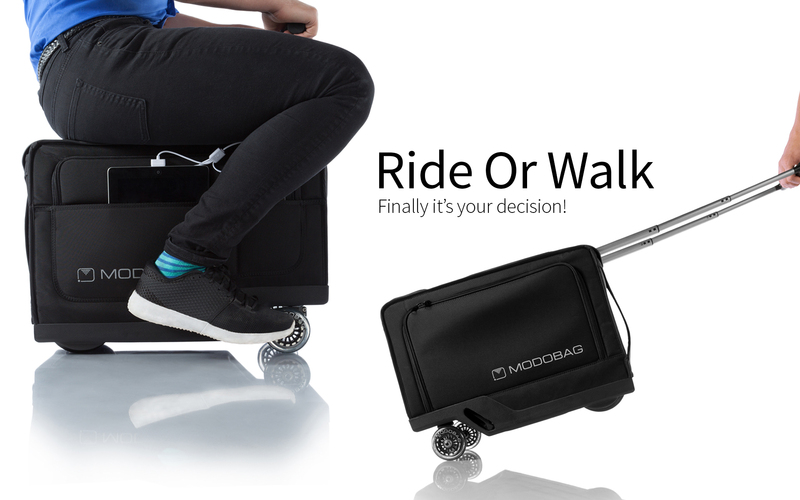 Modobag® - The World’s ONLY Motorized, Smart, Connected Carry-on Luggage! Modobag® is the world’s first motorized, smart and connected carry-on that gets you to your destination up to three times faster than walking. Modobag® continues to focus on Changing the Way the World Travels®. In our News & Events section you can find current news, press releases, events and our media kit. At Modobag® we are engaged in the design, manufacture, sourcing and distribution of eco-friendly, technology rich, rideable luggage for business, travel, students and specialty uses.